CBB December 2012 Net Worth Update-A Look Back Over The Year! I’m about a week late with our December net worth update but the good thing is I pulled the numbers on the first of the month. If you remember last month I found a concern I had with pulling the numbers even a week into the next month which messed everything up. Now that the 2012 year is over we can reflect on how we did overall. When we started in January 2012 we began with a net worth of $317,069.63. Our initial house value was not accurate which we corrected in February along with the addition of the value of our 2 vehicles. This would have artificially inflated our net worth gains from January 2012-February 2012 so we dismissed them from our 2012 net worth final calculations. In March we received back a loan of $30,000 which was added to our net worth but in the chart you can see this reflected in the figure $89,970.32 gain in net worth. As this is not a regular occurrence under the difference column I removed the $30,0000 to give a us a realistic accumulated figure of $59,970.32. Payments made throughout the year reduced our outstanding mortgage balance from $163,654.92 to $154,000 as at end of Dec 2012. Our intention is to use the cash we have to pay the mortgage in full in 2013. You can read about our mid-month error in our November net worth update for an explanation. Even with the simple error you will see that the % change between October and December would have averaged out. In 2013, you will notice additional changes to our figures and explanations about how we arrived at them. Overall, we are very happy how our 2012 ended and hope that in 2013 we can continue to build wealth and learn of other avenues that might help us achieve this. Who’s the Man behind Canadian Budget Binder? My name is Mr. CBB and I’m the frugal guy that does all the talking around here. I’m documenting and sharing our journey to pay down the mortgage and increase our net worth in hopes of an early retirement. 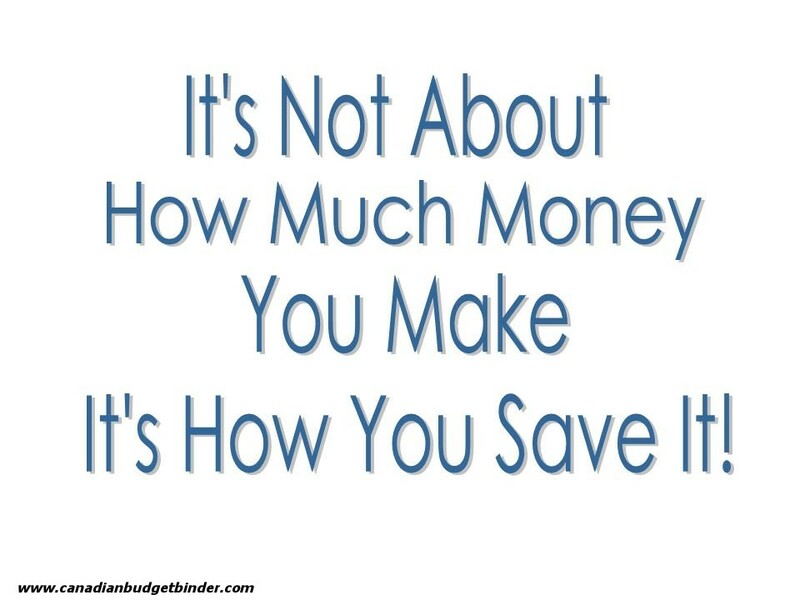 To save as much money as we can while we are young to save for retirement while enjoying the present. To spend less than we earn to carry out the above. To lower our Grocery Budget with The Grocery Game Challenge and if you want to improve yours play with us! To pay off our mortgage with-in the 5 yr term ending in April 2014 and potentially save for a second home to rent out or our dream home. To finance our retirement as best we can by continuing to educate ourselves on finance and investments. To finish renovating our home. To learn how to be more self-sufficient in the kitchen so we can eat healthier and save money by cooking and creating homemade meals. To travel around Ontario and Europe. When budgeting anything is possible, we are proof of that although we still have a long way to go in our journey. These are our numbers and our goals, not a means of comparison towards your own goals. We don’t care how much money others make or if their net worth is lower or higher as it’s not a competition. I hope what I post for you about our experiences perhaps will help guide you along that financial path towards debt freedom. Sometimes seeing personal financial numbers is what it takes to kick it into high gear like it did for us. I encourage you to learn what your own numbers are and make them work for you. If you want to see our actual budget for December you can read it here. The Grocery Game Challenge #2 January 7-January 13,2013 Join In!! This is really impressive Mr.CBB. Good luck with 2013, i’m sure you will increase your worth by even more! Wow nice job Mr. CBB! That’s an impressive increase in a short period of time! You guys did really awesome. Here’s to an awesome 2013! It’s looking very good there…… It’s going to be so nice to have the mortgage paid off!!! I’m trying to get the grocery bill down and keep it there, the sales the last couple of weeks have helped so far. Combined with coupons so far so good. Just ordered a bunch from P&G Brandsaver, plus the insert coming soon will be helpful…. Nice work! Can’t wait to see what this year brings. Same here we are optimistic but at the same time we are always prepared that anything can happen. How about you? Going to see the advisor soon… figured we’ll need to pile back close to $5k a month for a year to max out and catch up on TFSA and RRSP…. are you caught up and maxed out? RRSPs are great, but since they are tax-deferred and not tax-free, I don’t max it out. Good luck with the advisor, I’d be curious to what products they advise to you. manulife…. I don’t know what to do to be honest. So you invest on your own then and put money in RRSP’s and TFSA’s? I’d like to take a chunk of cash and invest it on my own. I think I asked you before but why do you have 160k in savings when you could pay your mortgage off or is that the plan with a lump sum payment? No worries mate… keep smiling!! Nice job Mr. CBB! I hope 2013 is just as productive if not more. Nice progress Mr CBB! Is your UK account showing here? and if so how often do you update the rate? I have a three currencies NW and always get big swings when updating the rates. Yes it is in the net worth although I don’t talk about actual number thus why you will see fluctuations depending on the exchange rate. I try not to reflect on the fact that is was ONCE $2.35 and is now hoovering around $1.60… sad really. Mr. CBB – just out of curiosity, why would repayment of a loan owed to you make a difference in your net worth? Had you written it off? If not, then why hadn’t you kept track of it in your asset column as something that was owed to you? We did track it in the overall net worth but for purposes of showing you all the true numbers that we actually made each month is why I decided to display it that way. Good numbers, Mr. CBB. Looking forward to that “We paid off our house” post. Thanks for all your help with kicking me into lowering our grocery budget. If I can stick with the plan it should save at least $2400! Probably more because I never tracked it carefully before. Thanks Kim. That’s exactly it and really it was tracking our expenses in the budget along with the grocery game that helped us in 2012. You have a healthy net income and you can make magic happen if you both stick to it! Here’s to a great 2013! Nice increase in 1 year Mr CBB! Job well done!! Thanks Mary!! It’s been worth it every step of the way!